“As I like to say, it’s never a good idea to bet against Einstein,” astrophysicist Shep Doeleman told Science Friday back in 2016, when the Event Horizon Telescope project was just getting underway. Now, this week astronomers and astrophysicists are celebrating the first-ever black hole image—an image that offers more proof of Einstein’s theory of general relativity. At an illuminating press conference on Wednesday, April 10th, scientists shared the image for the first time: a slightly blurry lopsided ring of light encircling a dark shadow. 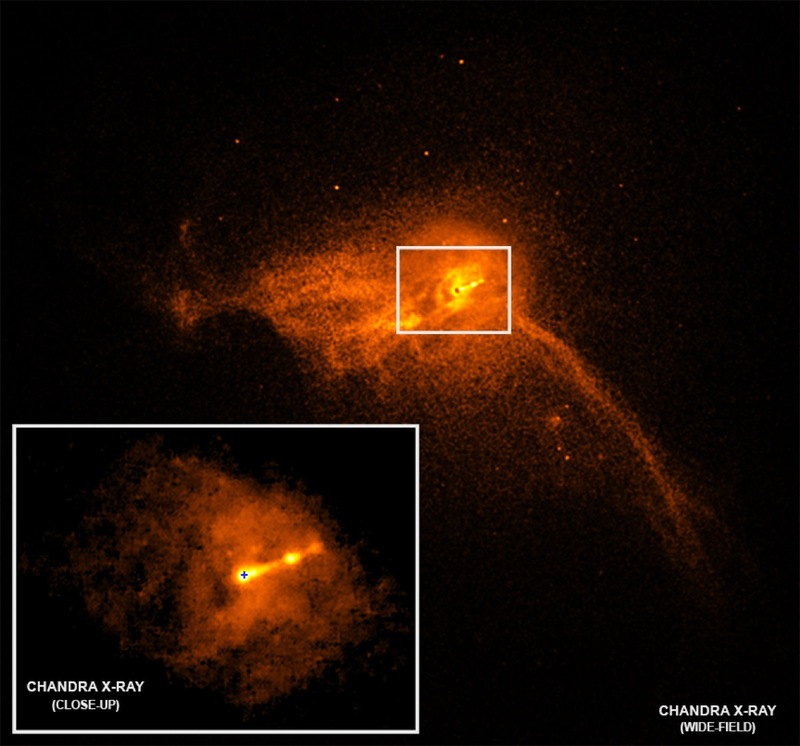 The global telescope array was able to image this supermassive black hole from 55 million light years away, in the core of the galaxy Messier 87, or M87. But even as the image confirms current ideas about gravity, it also raises new questions about galaxy formation and quantum physics. Event Horizon Telescope director Shep Doelemen and Feryal Özel, professor of astrophysics at the University of Arizona and EHT study scientist, help us wrap our minds around the image. And Julie Hlavacek-Larrondo, assistant professor of physics and Canada research chair at the University of Montreal joins the conversation to talk about what scientists would like to discover next. Relive the moment when the image was released and explore simulations, infographics, and visuals of the Event Horizon Telescope’s research below. See the image and read about the background of the Event Horizon Telescope project in Science Friday’s breaking news story. Find out what experimentalists and theorists want to investigate next with the EHT data on Science Friday. Listen to a 2016 Science Friday interview with Shep Doeleman and Priyamvada Natarajan about imaging black holes. Learn more about the Event Horizon Telescope project. 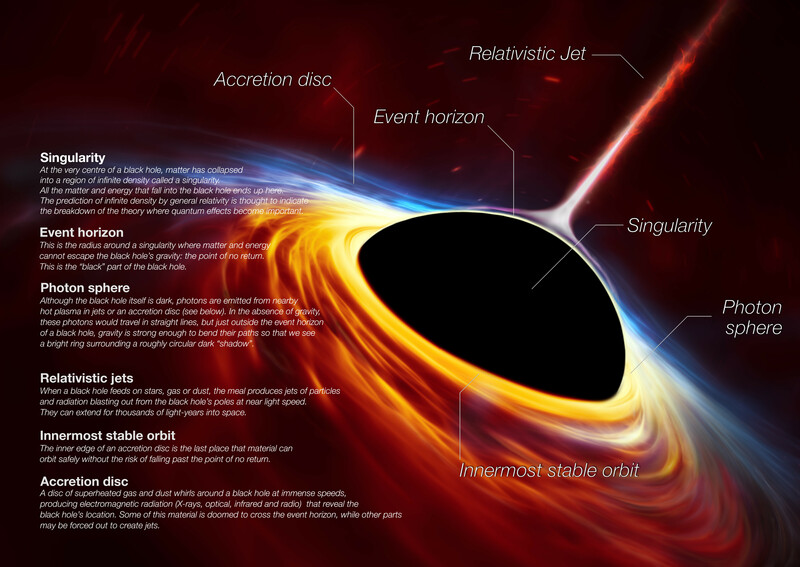 Want to learn more about black holes? Take the plunge down past Science Friday coverage. Shep Doeleman is director of the Event Horizon Telescope Project and an astrophysicist at the Harvard-Smithsonian Center for Astrophysics in Cambridge, Massachusetts. Feryal Ozel is an Event Horizon Telescope study author. She’s also a professor of Astronomy and Astrophysics at the University of Arizona in Tucson, Arizona. Julie Hlavacek-Larrondo is an assistant professor of Physics and Canada Research Chair at the Université de Montréal in Montreal, Quebec, Canada. IRA FLATOW: This is Science Friday. I’m Ira Flatow. I want to take you to a special historic news conference this week. SPEAKER: You said in your opening that this was seeing the unseeable. And it’s been a good long time to prove this concept out. And I’m just wondering for a moment as a scientist what you, what your team members– just what it felt like to see that image for the first time? SHEP DOELEMAN: That’s a great question. We’ve been at this for so long. And there’s been such a buildup. There was a great sense of relief to see this, but also surprise. When you work at this field for a long time, you get a lot of intermediate results. We could have seen a blob. And we have seen blobs. You could have seen something that was unexpected. But we didn’t see something that was unexpected. We saw something so true. We saw something that really had a ring to it. And it was just astonishment, I think, and wonder. And I think that any scientist in any field would know what that feeling is, to see something for the first time, to know that you’ve uncovered part of the universe that was off limits to us. When that happens, it’s an extraordinary feeling. IRA FLATOW: Those were the words of astrophysicist Shep Doeleman, sharing groundbreaking news at a press conference held this week, describing the moment he saw what the Event Horizon Telescope team had been working towards for over three years, the first ever image of a supermassive black hole. And on Wednesday, the public was able to join him in that feeling of wonder, when the image was shared for the first time, a slightly blurry, lopsided ring of light encircling a dark shadow. I’m sure you have seen it by now. But as they say, there is more than meets the eye here. And joining me to try and help us wrap our minds around what we have seen for the very first time and what it means are my guests. Shep Doeleman is director of the Event Horizon Telescope project. Welcome back, Shep. SHEP DOELEMAN: Great to be here. IRA FLATOW: And also joining us this time is another EHT study scientist, Dr. Feryal Ozel, professor of astronomy at the University of Arizona. Welcome to Science Friday, Dr. Ozel. Are you there? FERYAL OZEL: Yes, I’m here. FERYAL OZEL: I think our line dropped. IRA FLATOW: I think your line dropped. OK. We got it back. Let me ask you first, Feryal– first off, congratulations to both of you on this. FERYAL OZEL: Thank you very much. IRA FLATOW: There was so much excitement this week around seeing the first picture of a black hole. Why was it deserving of so much excitement, Feryal? FERYAL OZEL: I think part of it is that it’s a new frontier. It’s something we haven’t seen before. It’s something that we didn’t even think we could see. And it’s been so long in the making, both the technological development and the theoretical understanding to interpret the data. So I’m really happy that everybody is excited to see this image. IRA FLATOW: Shep, you said in the press conference and even here on a program that black holes are essentially unseeable. So how do you explain what we’re seeing? We are seeing one now. SHEP DOELEMAN: Yeah. They’re unseeable if they’re naked, if there’s nothing around them. But black holes attract just everything around them, because of their intense gravity. And they’re trying to get it in such a small volume that it’s like when you rub your hands together. They get hot. All the friction heats that gas to hundreds of billions of degrees. So black holes are surrounded by these 3D flashlights of this hot luminous plasma. And then their gravity warps the light from that plasma into these distinct shapes. You’re really seeing Einstein’s geometrical gravity laid bare. You’re seeing just how light moves along spacetime. IRA FLATOW: Yeah. Einstein, even though he came up with the theory about warping space, did he not– he wasn’t really convinced that black holes might exist. FERYAL OZEL: Yeah. He struggled– go ahead, Shep. IRA FLATOW: Feryal, go ahead. FERYAL OZEL: He did struggle with that for a while. The theory practically breaks down at the center of a black hole. It predicts a singularity, an infinite spacetime curvature and energy density. So he was very unhappy with that. And he thought maybe there is a reason why nature would not form these objects. IRA FLATOW: Let’s talk a little bit, Feryal, about the image itself so we can explain to folks, because it’s not quite what it appears to be. There’s a lot more stuff going on there. And let’s get right into the reddish ring of light. Where is that coming from? FERYAL OZEL: That is coming right from the inner part of the accretion flow and the base of the jet. So, as Shep was saying, as this plasma that the black hole gets from the stars around it swirls around and makes its way down to the black hole, it heats up. And the emission that we are seeing at this particular wavelength of light is coming from right outside of the point of no return. So there is the event horizon. Outside of that is the photon ring. And outside of that is the part that truncates the disk and where we think jets form. So the source of the light is right in the vicinity of that point of no return. And it is being lensed into the circular shape. IRA FLATOW: Well, that’s the question. I’ll continue with that, because if it’s a three-dimensional image, shouldn’t it be surrounded by that glowing red, so we should not be seeing into it as we look straight? FERYAL OZEL: That’s a very good question. And it’s something that we’ve worked out 20 years ago. So part of the reason we’re seeing it is because it’s torus-shaped, so it’s not really completely spherical. But even if it were, we had to pick a wavelength of light that satisfies two things. One is we wanted it to be emitted right near the horizon so it lights it up. We didn’t want something that comes from farther away. But it’s a double-edged sword, as you’re saying. If there is too much of that light, too much of that gas, then it will interfere with our ability to see down to the horizon. By picking the 1.3 millimeter wavelength of light, we are walking that tightrope. There is light that is lighting up the black hole. But it is not so much that it is actually obscuring our view to the black hole. IRA FLATOW: And Shep, actually, is it not true that light that is heading toward the black hole will be bent around the back of it and come forward towards us, so it still stays black that way. SHEP DOELEMAN: Yeah. It’s never a good idea to try to hide behind a black hole, because the light from you will always be bent around. In 1919, when they looked at the deflection of light during a solar eclipse of stars to verify Einstein, at first the deflection was 1/2,000 of a degree. And now we’re looking at light that does loop-de-loops. So it’s a completely different ballgame from that perspective. And Feryal said it very well. You have this flashlight, this light that’s close to the event horizon but not in the event horizon, of course. And what that means is that the light gets lensed around this last photon orbit. All the light grazes this last photon orbit. If it goes a little bit inside there, it’s lost forever in the event horizon. And what that means is that we see a ring, which is a projection on this three-dimensional flashlight. But then, for example, if there were another civilization elsewhere in the Milky Way, they would also see a ring, or in M87, they would see that ring too. So everybody gets to see a ring, because of the lensing in Einstein’s gravity. IRA FLATOW: Yeah. I get it. Why then is some of the ring whitish, so it seems brighter than red? SHEP DOELEMAN: Oh. Well, it’s a phenomenon that goes from what Feryal was saying. The gas is moving around so quickly, it’s at near-lightspeeds. So when it descends all the way into this gravitational well, it’s really moving quickly. And when material moves that fast, when it emits light, the light is boosted in energy in the direction that it’s moving. So you’re seeing some of the gas coming towards us from underneath the black hole. It seems like it orbits clockwise around what you see there. And so it’s bright on one side and dim on the other. IRA FLATOW: So is it like a candle, it’s hotter on that side, so it glows brighter? SHEP DOELEMAN: It’s more it’s brighter. It’s not so much hotter. FERYAL OZEL: That’s right. So the color map that we’ve chosen is a good representation of how bright it is. So the parts that you’re seeing in a lighter color are actually the brighter parts. And the reason is this swirling plasma. So half of it roughly, the half that’s approaching us, is this brighter emission. And the part receding from us is slightly dimmer. IRA FLATOW: Shep, you talked about that there is still light inside the black hole. What happens to that light in there? SHEP DOELEMAN: Well, there’s no light coming to us from within the event horizon. But as Feryal said, you have gas always falling into the black hole at all levels and it emits. You’re really not seeing anything too much interior to the last orbit, which is that ring that you see. Everything that is in there tends to go through the event horizon and we don’t see it anymore. It just disappears from our causal existence. IRA FLATOW: But where does it go? SHEP DOELEMAN: Ah, well, that’s the $64 million question. FERYAL OZEL: Well, it goes into the singularity, right. SHEP DOELEMAN: Yeah. If anyone tells you they know, don’t believe them. IRA FLATOW: Stephen Hawking spent his life trying to figure that out, didn’t he? FERYAL OZEL: He did, and many others. Yeah. SHEP DOELEMAN: Yeah. I do want to say, I think for many people in our collaboration, it was bittersweet. We lost Stephen Hawking just a little while before we made this discovery. We had a chance to describe it to him a little bit, which was great. And I wish that he’d been alive to see it. IRA FLATOW: Our number, 844-724-8255. We have so many phone calls. I’m going to get to them after I ask a couple more questions. A lot of people have been asking, can you explain the difference between the event horizon– and you touched on it a bit– the event horizon, the black hole, and the black hole’s shadow? FERYAL OZEL: Sure. I can do that. So general relativity not only predicts this point of no return, which we call the event horizon, but it also predicts the existence of a few other special distances from a black hole. The first one is when matter starts plunging in. We call it the innermost stable circular orbit. I know it’s a mouthful. But it’s basically the last point that matter can be in actual orbits around the black hole. If it’s interior to that, it’s just going to start plunging in. Next up, closer to the black hole, is the photon ring, the point where the light does the loop-to-loops and makes a really bright image that we’re able to see as a circle in the sky. And interior to that is the event horizon. And that’s where basically everything is moving toward the singularity. The space and time have switched signs. And that’s where all hell breaks loose. So if we were falling into the black hole, we wouldn’t know that we were going through these places. Maybe we would potentially notice the innermost stable circular orbit. But after that, we’re just falling in. And we wouldn’t necessarily know that we’ve crossed the horizon. It’s for a distant observer, like us, that these things become important. IRA FLATOW: 844-724-8255. Let me go to our first phone call, to Mark in Durham, North Carolina. Hi, Mark. MARK: So my question is whether a black hole has spin or rotation that compresses all the matter going into a flat disk. And if so, what difference would that make to a probe approaching either from the pole or the equator of the black hole? IRA FLATOW: Is it spinning? FERYAL OZEL: That’s a very good question. FERYAL OZEL: There are actually two things there that we can break down. One is whether the black hole has spin. And the other is whether the gas swirling around it has spin, so to speak, like angular momentum. The black hole can have spin. In the case of the image that we have seen from the black hole in M87, we can’t measure it. The images themselves, the circularity and the size of the image, is quite insensitive to the spin of the black hole. We can say that the gas is rotating around it, for the reasons that Shep talked about this, this Doppler boosting. And indeed, so gas does make a disk-like structure. But depending on how hot it is, it could be a flat disk or it could be more like a donut, a torus-like object. And the particular nearby supermassive black holes we are dealing with are more torus-like. IRA FLATOW: I’m Ira Flatow. This is Science Friday from WNYC Studios. So are we looking down from like the north pole down on the black hole? Or is there an up? Is there a down to it? I mean, it looks like a disk, right? It looks like Saturn that we’re looking at from heads on. Is that a correct interpretation? Or is it like a hurricane with an eye in it, with a big sidewall that that red stuff is? SHEP DOELEMAN: Well, the interesting thing, springboarding off of what Feryal said, is we do think this black hole has spin. And one of the reasons we do is that not only do we see this ring of light at 1 millimeter, which is where the Event Horizon Telescope took its picture, but at longer wavelengths, we see these tremendous jet structure that comes out of the black hole. And it goes for over 100,000 light years. And the best idea we have as to the genesis of those jets is that there’s a spinning black hole. And that powers acceleration of charged particles that are in that plasma at near-lightspeeds. And this jet is carrying away a huge amount of energy. So when we look at the energy of that jet, we can estimate what the spin of this black hole must be. Now, Feryal is absolutely correct. From what we’ve done, we can’t really tell what the spin is, just from the EHT data. But in the future, if we were able to see things move around the black hole, if we did measurements let’s say every week, every month for a long time, we might be able to make a movie and see things rotate. And that would be able to tell us that the black hole was spinning, just from the EHT data alone. IRA FLATOW: What direction is the jet in our picture going in? SHEP DOELEMAN: It’s kind of coming out of that donut towards us and a little bit up to the right. IRA FLATOW: If a jet is coming out, does that mean it’s pushing the black hole someplace, action and reaction? FERYAL OZEL: No. So there are two jets coming out, actually, so there is one that’s coming towards us and there is one that we think is of equal power that is going in the opposite direction. So that doesn’t really impact the black hole. But it impacts how we see the image forming. IRA FLATOW: Quick question before the break. A tweet coming in. We can’t see in radio waves, so how can we see this image? FERYAL OZEL: Well, I think that’s something that we deal with in all wavelengths of light. We make images in X-rays. We make images in the ultraviolet and infrared. So we get the spatial information and whether there are any changes in brightness. And we map it onto something we can see. So the color scale that we pick and the brightness scale that we pick simply represents the true content of that electromagnetic radiation in another wavelength. IRA FLATOW: Quick before the break. Shep, what surprised you most about this photo? SHEP DOELEMAN: Well, I mean, I think everyone had their own private reaction to it. The whole team has been working for many years on it. For me, it was how pure it was. As I said in the remarks during the press conference, it could have been anything. We do a lot of measurements and we look at a lot of things that are uncertain. To have something so clear, to have something so perfect like this, that was a surprising thing for me. And it was wonderful. IRA FLATOW: OK. We’re going to take a break and come back, talk more with their Shep Doeleman and also Feryal Ozel. Our number is 844-724-8255. You can also tweet us @scifri. We’ll be right back with your questions after the break. Stay with us. This is Science Friday. I’m Ira Flatow. 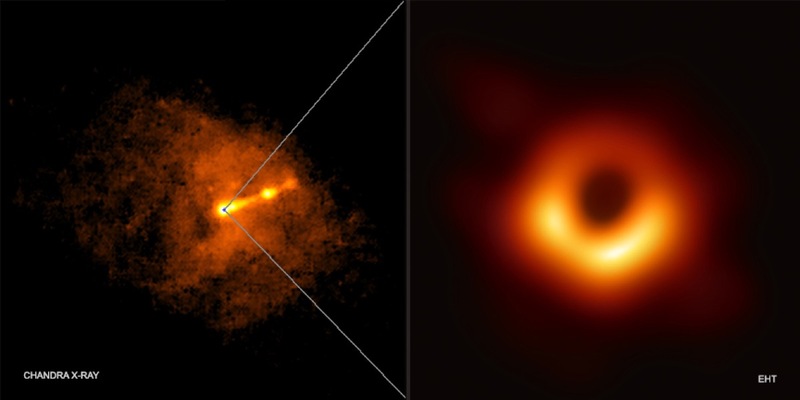 We’re talking this hour about the big science news of the week, the first ever image captured of a supermassive black hole. 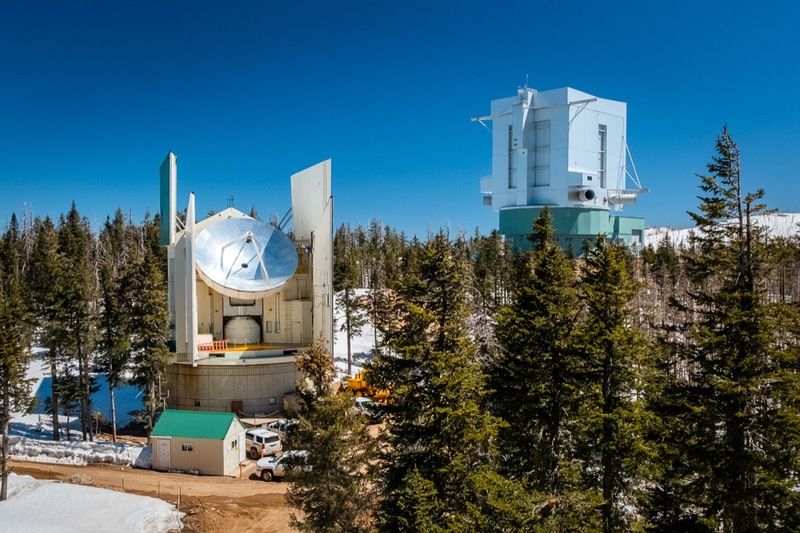 Joining me this hour are two members of the Event Horizon Telescope team, Shep Doeleman, Harvard research fellow at the Harvard Smithsonian Center for Astrophysics in Cambridge, and Feryal Ozel, professor of astrophysics in the Department of Astronomy at the University of Arizona. And astronomers and astrophysicists are celebrating this first ever black hole image and yet more proof of Einstein’s theory of general relativity. But even as the image confirms our ideas about gravity, it also raises new questions about galaxy formation and quantum physics that scientists want answers to. So now that we can see this supermassive black hole, what more can we discover about it? To help us answer some of those “what’s next” questions, I’d like to bring in my next guest, Julie Hlavacek-Larrondo is assistant professor of physics and Canada Research Chair at the University of Montreal. Welcome to Science Friday. JULIE HLAVACEK-LARRONDO: Thank you. It’s great to be here. IRA FLATOW: Now, I know that you were not part of the Event Horizon team, so you got to see the image along with the rest of us for the first time this week. Was it what you were expecting to see? JULIE HLAVACEK-LARRONDO: It was incredible. I have to say, I was surprised at how clear the image was. It’s just amazing to be able to see for the first time a black hole. And for me, this is so important because I’ve been studying these objects for the past 10 years. And my goal has been really to understand what supermassive black holes do on the scale of galaxies, what is their role in like a cosmological context. But I’ve never actually seen a black hole, although I’ve studied their impact for the last 10 years. So it was really tremendous for me. And I’m going to remember this time for the rest of my career. IRA FLATOW: I think we’re all going to remember it. And I want to talk about something very interesting that you just brought up. And that is the fact that there are black holes in so many centers of galaxies. Do we know why that is? JULIE HLAVACEK-LARRONDO: That is a very good question. And I would say that we’re still trying to understand how black holes form in the first place, especially supermassive black holes, how they grow with time. Do they grow with their galaxies or not? It’s still a very open question. And I’m sure that we’re going to get some answers in the next couple of years. But the important part is you have to remember that we’re pretty sure that every single galaxy now, at least the massive galaxies, has one of these supermassive black holes at its center. But the key point is that although very massive, the supermassive black hole is very compact. In fact, it’s about a billion times smaller than the actual size of the galaxy. And what we’re realizing is that although it’s so small, it’s such a powerful, incredible object that it can have an impact on the scale of the galaxy. And it does end up reshaping completely the properties of the galaxy. IRA FLATOW: Might it explain– I mean, we talk about dark energy– but we haven’t found what it is yet– and dark matter. And we’ve talked about how dark matter keeps the shape and the form of a galaxy together. Could there be something going on between the black hole in the center and the dark matter that we don’t know yet? JULIE HLAVACEK-LARRONDO: So there has been research. So scientists, at least several years ago, tried to determine is the dark matter that’s present in galaxies that we don’t see– could it be at least partially caused by black holes that are hidden in the galaxy and that are not actively feeding, and therefore they’re black and we can’t see them? And so they do have some contribution. But it appears to be very minor. And so dark matter still seems to be a very mysterious substance that we don’t know actually what it is. IRA FLATOW: Shep, you also took data on the black hole at the center of our galaxy, Sagittarius A star. When are we going to see that picture? SHEP DOELEMAN: Oh. Well, we’re pretty tight-lipped. I think your other guests can attest to that. I talked to a lot of people and they said, we had no idea what you were going to show. And getting 200 people not to spill the beans was really quite a feat in and of itself. But I can say that we did take data on Sagittarius A star. That’s the 4 million solar mass black hole in the center of our galaxy, the Milky Way. And by contrast, it’s a very timid eater, so it’s eating about 10,000 or 100,000 times less than the black hole in the center of M87. So we wouldn’t see it if it was at the distance of M87. That said, we are very excited to work on those data, because for that source, we know the distance precisely from infrared work that shows stars orbiting the black hole. And we also know the distance, as well as the mass. So we could do some better testing of Einstein if we were to see a ring around that source. FERYAL OZEL: If I may add to that a little bit, Shep talked about how it’s a more timid eater and its mass is a lot smaller. The time scale with which things happen around a black hole depends on its mass. The smaller the mass, the more things happen, the more things change rapidly. So just based on its mass, we knew that it was going to be more of a problem child. It’s just more turbulent. And we need special imaging techniques to deal with that variability. So having said that, of course we’ve been working on it. And we will look forward to sharing the results whenever we have them. IRA FLATOW: Do these black holes start out small, gobble up all kinds of stuff around it, and then grow either more dense or larger in size? FERYAL OZEL: Yeah. So this connects back to your conversation with Julie just a few minutes ago. We now know of black holes in the centers of all nearby galaxies and most galaxies that we can see. And we think based on their mass that these black holes must have started forming very on in the age of the universe. So we are really looking at a coming of age story together between the galaxies themselves and the black holes at their centers. We think they started small. But what is small? Is it 100 times the mass of our sun? Is it 10,000 times the mass of our sun? There are different scenarios in which we consider forming these baby supermassive black holes that we call seeds. And we don’t have any direct evidence as far as which one of these is happening and how rapidly these black holes grow in the early universe. But one thing is for sure. Even when they’re small, they’re having an impact on their host galaxies. And really, throughout the cosmic time, they’re growing together. JULIE HLAVACEK-LARRONDO: If I could maybe add something? JULIE HLAVACEK-LARRONDO: So what’s also intriguing about this is we now have evidence that very, very massive black holes– we’re talking about almost the size of the black hole at the center of M87, so billions of times the mass of our sun. We have evidence that these black holes have existed for a very long time and that they seem to exist even only after a couple hundred million years after the Big Bang. So they seem to form very quickly. And the question is, how? How can they do this? And we’re still trying to answer that question. IRA FLATOW: Something this image doesn’t show that we sort of touched on– Julie, I want to get more into that– are the black hole’s jets. Can you explain a bit more why they’re there, what they’re doing? JULIE HLAVACEK-LARRONDO: So that’s a great question. I would say that we still don’t fully understand how these structures form. But what we do know is that black holes can form them. They seem to be able to produce these very powerful jets of high energy particles. And what’s incredible about them is that they’re propagating to just incredible distances. So just to remind you, black holes are very compact. They’re about a billion times smaller than the size of their galaxy. Yet the jets that they produce can extend to the size of the galaxy. So it’s gigantic. And what we’re learning, especially in the last couple of years, is that these jets just inject a tremendous amount of energy into their surroundings. They heat up gas. They prevent the gas from forming further stars. They drag out lots of metals with them. So they do play a fundamental role in galaxy evolution. IRA FLATOW: Shep, let me talk about the actual process of collecting the data that created this image. What was involved? I know there were eight telescopes, eight radio telescopes involved. And what kind of algorithm, computer power put this all together? SHEP DOELEMAN: That’s a great question. We use this technique that’s kind of a bit of magic, when you think about it, called very long baseline interferometry. And a way to think about it is to take an optical mirror– we all know or have a feeling for the fact that it will reflect all the light to a focus so it arrives at the same time, where it can be combined. And that’s where you can put your camera. So imagine now taking that mirror and smashing it with a hammer, then taking those little shards, those reflective shards all over the globe. You’d have a telescope kind of as big as the Earth. But you’d have to find a way to get all that light back to a focus. We do this in radio waves by recording the data at radio dishes spread out geographically across the Earth. And we record them with atomic clocks so they can be played back with precision later. And in the same way that the optical mirror shines light back up to a focus, a supercomputer aligns in time all of those recordings perfectly so they can be combined. And when you do that, then you have data as though you had a dish the size of the distance between these other radio dishes, which can be on different continents. And that gives you the angular resolution that you need. So you need a supercomputer to combine all that data. And then you have to, of course, calibrate it and image it. And that’s what has taken us the better part of two years to get right. IRA FLATOW: That’s interesting. Let’s go to the phones to David in Chicago. Hi, David. DAVID: Hi. How are you? DAVID: OK. So I’m not a scientist. I’ve always struggled with conceptualizing this idea of gravity. Is gravity a particle that emits from something? Or is it like a depression in multidimensional spacetime? IRA FLATOW: Mmm. What wants to tackle that one? FERYAL OZEL: Well, I can try that. FERYAL OZEL: Yeah. Sure. Right now our description of gravity is literally a distortion of spacetime. So we call that a geometric description. We don’t have a quantum description of gravity, although many people are actively working on that. So if it is an interaction between particles, and if we can ever write it as such, as a field theory, we are not quite there yet. Einstein’s description literally makes use of the geometry of space away from masses that is flat. And in the presence of mass or energy density. It gets bent. And all other objects just follow what they think are straight lines on that bent spacetime. So it’s like an ant walking on a watermelon. It doesn’t know that it’s curved. It’s just walking along. So that’s how we describe it right now. IRA FLATOW: I’m Ira Flatow. This is Science Friday from WNYC Studios, talking about the great news this week about the discovery– actually seeing the first photos of this massive black hole. I imagine, Shep, there are going to be more black holes we’re going to be seeing soon, hopefully. I mean, soon could be a year, two, whatever. Is it going to become as common place as when LIGO gave us the first gravity wave burp, and then say, oh, well, we got another one now? SHEP DOELEMAN: Yeah. Hopefully it won’t become commonplace, hopefully that seeing black holes will still be a singular event. Well, the next one, as Feryal described, is going to be Sagittarius A star. And that’s a very different kind of black hole. So the nice thing about this is it will be a completely different flavor. It’s 1,000 times less massive. And as Feryal pointed out, the cool thing about it is that you can watch it evolve over the course of an evening. So one of the nice things, one of the important things about this technique of very long baseline interferometry is that you wait for the Earth to rotate. And it sweeps your telescopes around, essentially increasing the coverage of that precise virtual mirror. For Sagittarius A star, the challenge here is that the source can change while you’re observing it. So we have to think about dynamically imaging it, making a movie. So that’s challenging, but it’s also hugely exciting. IRA FLATOW: That’s the one at the center of our Milky Way. SHEP DOELEMAN: Yeah. That’s the 4 million solar mass black hole at the center of our galaxy. So it may be challenging. But the next very exciting thing may be a movie. IRA FLATOW: Are you saying that the black hole changes so quickly that one rotation of a day in Earth time, we’ll see a change when it comes around again? SHEP DOELEMAN: Yeah. Basically, when you’re dealing with a black hole, you’ve got to just check your assumptions at the door. So this is a black hole that is kind of the size of maybe 1/3 of the orbit of Mercury, the one in the center of our galaxy. And light– matter would orbit around it at the innermost stable circular orbit that Feryal described in about half an hour. It’s extraordinary, because things are moving at near the speed of light. IRA FLATOW: Feryal, is that exciting to you. FERYAL OZEL: Yeah. That is really exciting to me. So on the one hand, it makes it more challenging to just do the imaging and to fit our models to it. On the other hand, we can actually see gas swirling in action. We have that potential. And that opens up different types of tests that we can do with it. So I think we’re going to work actively on this dynamical imaging that Shep was describing. And once we get it to work to our satisfaction, then we will be able to not only answer gravity questions, which are the most important thing for us, but almost equally important is, how does a gas behave around a black hole? It’s a plasma that we just don’t know from our experience on Earth. So we really would like to understand if our models of it are correct. IRA FLATOW: Let me go to the phones, to Jacob in Dayton Beach, Florida. Hi, Jacob. JACOB: Hey. So what would happen when two black holes got near each other? What would happen? JULIE HLAVACEK-LARRONDO: Very good question. So it would depend on the kind of black hole that you’re looking at. So as we’ve seen in the last couple of years with the detection of gravitational waves, if small black holes merge, then they produce a tremendous amount of gravitational waves. And we’ve been able to detect those, so we’ve actually been able to detect the merger of two small black holes. When we’re talking about supermassive black holes, it’s a bit different. The timescales are different. It’s takes much longer for the supermassive black holes, because they’re much bigger, to actually merge. And we haven’t been able to detect gravitational waves from that merger yet. But that may be something that’s coming up with future gravitational wave detectors. But for now, we will see. IRA FLATOW: And we have so many people who have asked questions and we have run out of time. I want to point everybody to our website at ScienceFriday.com, where we have all kinds of videos and stuff and explanations up there, because it’s hair-hurting in a good way to talk about this. I want to thank all my guests, Feryal Ozel, professor of astrophysics in the Department of Astronomy at the University of Arizona; Shep Doeleman, Harvard research fellow at the Harvard Smithsonian Center for Astrophysics in Cambridge; and Julie Hlavacek-Larrondo, assistant professor of physics and Canada Research Chair at the University of Montreal. Congratulations to all of you involved in this research. And we’ll be back with the next one, OK? IRA FLATOW: We’ll all meet back here.